Washington D.C. [USA], Mar 21 (ANI): US President Donald Trump claims to have destroyed the "ISIS physical Caliphate" in Syria and Iraq ever since taking office in 2016. "ISIS Caliphate two years ago in red vs. ISIS Caliphate TODAY. (Was even worse in November 2016 before I took office)," Trump tweeted on Wednesday (local time). 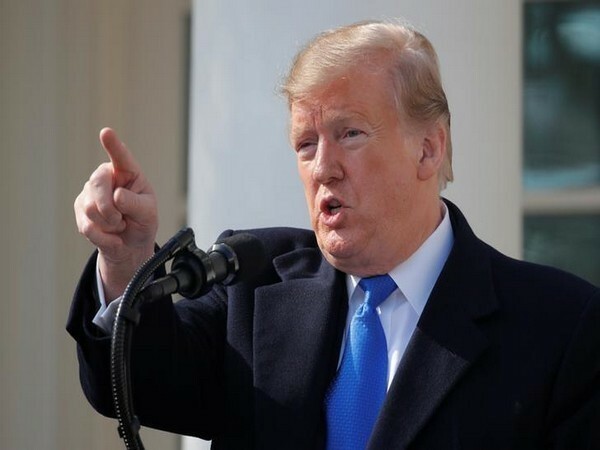 Apart from brandishing the maps in front of reporters at the White House, he also announced that the Islamic State would be "gone by tonight" as fighting continued between the terror group and the US-backed local forces in Syria, reports The New York Times. The Syrian Democratic Forces recently pushed the last of ISIS terrorists outside the village of Baghuz after intense fighting between the two sides. The terror group currently has a very tiny sliver of land along the banks of the Euphrates River under its control.